Bryant University houses a U.S.-China Institute, which forges academic, business, and cultural partnerships between Bryant University and higher learning institutions, business enterprises, and governmental offices in China. It is also home to the Confucius Insitute, which helps promote relations between U.S. and China through education. 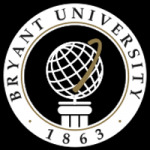 Bryant is a student-centered university started in 1863 that is focused on academic excellence that prepares its students to achieve their personal best in life and their chosen profession. Bryant University houses a U.S.-China Institute, which forges academic, business, and cultural partnerships between Bryant University and higher learning institutions, business enterprises, and governmental offices in China. It is also home to the Confucius Insitute, which helps promote relations between U.S. and China through education. Bryant offers many opportunities to learn about China such as through its summer language and culture program for both teachers and high school students, STARTALK, as well as classes through the Confucius Institute. Over the summer, the Confucius Institute at Bryant University organizes a study trip to China for high school teachers and students who participated in the STARTALK Chinese Language and Culture Summer Program. This experience offers American teachers and students the opportunity to explore in person the rich history, extensive culture, and dynamic economy of China. The 2-week study trip features visits to historical and cultural landmarks such as the Great Wall and Forbidden City, tours of the beautiful natural landscapes throughout China, and explorations of daily life including visits to local schools. The travelers are responsible for the cost of the plane fare, visa application expenses, international insurance, program fee, and air travel within China, if applicable. The food, lodging, and domestic land transportation in China will be funded by the Confucius Institute headquarters in Beijing. Bryant University also has an alliance with Beijing Institute of Technology in Zhuhai, China.